2016 was a year that produced mixed results across the entire spectrum of Frontier Markets, but also opened a multitude of opportunities that could be exploited in 2017. 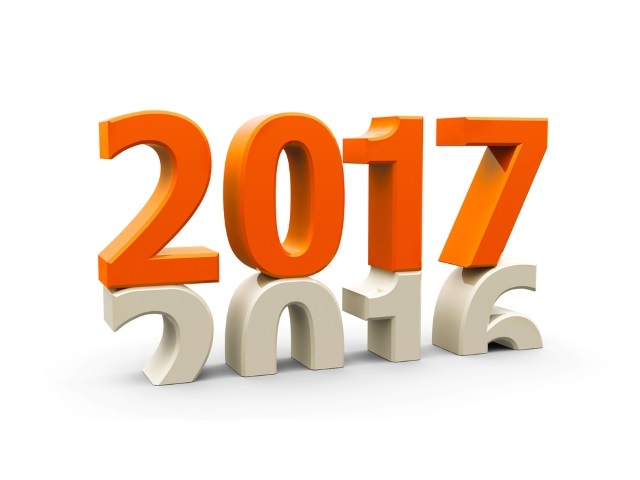 This article lists five things that you should keep a close eye on next year. Next year, we will no longer be classifying Pakistan as a Frontier Market. In June 2016, MSCI upgraded the Asian nation and reclassified it as an Emerging Market. What ensued afterwards were inflows into Pakistani markets and this is expected to continue in the future. The same review also highlighted what could potentially be good news for Argentina after being added to MSCI’s classification review for 2017. Mauricio Macri has implemented a handful of reforms that have attracted more foreign investors into the market in the past year, as well as abolishing foreign exchange restrictions and relaxing capital controls. As a result, Argentina ticked the boxes needed to fulfill MSCI’s “accessibility criteria” for emerging markets. However, Nigeria’s status as a frontier market may be in jeapordy after MSCI announced that it was considering downgraded the African powerhouse to stand-alone market status, citing poor liquidity in foreign exchange markets and difficulties in equity market accessibility. Aside from MSCI potentially stripping the frontier market status from Nigeria, credit rating agencies have all be downgrading sovereign and bank ratings (including S&P, Moody’s and Fitch) as well as expressing doubts about its oil industry. One question that has been asked by many investors is: “when will Vietnam be classified as an emerging market?”. Recently, Vietnam has taken great strides to attain this upgraded status, such as lifting foreign ownership restrictions for a number of the nation’s companies and policies to improve liquidity. Whether or not MSCI will consider these factors in its next review is anyone’s guess, though many are hoping that all of this effort will not be in vain. Oil prices have caused massive problems for many producers of the commodity in Frontier Markets over the past 18 months. In an effort to adapt to the low price environment and quell growing deficits, governmental budgets in many countries across Africa and the Middle East have been significantly tightened. After OPEC agreed to cut production, the price of oil has soared and the trend is expected to continue in 2017. Reacting to the low oil price environment, countries in the MENA region have expressed a collective desire to diversify their economies away from oil in a bid to reduce dependency on the lucrative commodity. Kuwait posted its first fiscal deficit in 16 years when it was trying to navigate through the low oil price environment, forcing the government’s hand as the country’s leaders agreed to reduce public spending and reformation of areas in the public sector. Meanwhile, The International Monetary Fund (IMF) has stressed that Oman doesn’t become complacent and ditch its diversification commitments if oil prices skyrocket. In the early part of 2016, Saudi Arabia launched Vision2030 in an effort to garner revenue and increase inward investments by diversifying its economy, including (but not limited to) improving credit access for small businesses and the long-term vision of achieving environmental stability. If oil prices do increase next year, then the extra revenue is expected to be used to further stimulate the diversification process. The Kingdom has recently released plans to boost capital in its Saudi Industrial Development Fund (SIDF) by 6 billion riyals ($1.6 billion) to further the cause. The price of oil isn’t the only thing that has had an impact on Nigeria’s oil industry. The current insurgency in the Niger Delta has reportedly cost Nigeria over 1.5 trillion naira ($4.8bn) since the start of 2016. The dual problem of prices and military action have given analysts the impression that it will be difficult to attract investment into the oil industry, as both create a feeling of uncertainty in the sector. There is some light however, as Indian oil refiners have expressed interest in increasing oil imports from Nigeria in 2017. One firm in Kazakhstan is not as optimistic as many commentators on the oil price forecast. KazMunaiGas Exploration Production (KMG EP), one of the three major oil producing companies in the country, has drafted its business plan in anticipation of prices hovering around the $45 per barrel level in 2017. Iran on the other hand has forecast the price of oil at $50 per barrel and has adjusted its 2017 budget accordingly to reflect this. In a recent report, Credit Suisse illustrated its predictions for Frontier Markets over the next five years (see below). As such, a pattern had emerged: a strong performance among African and Asian countries, exceeding predictions for many Emerging Markets. Frontier Markets in Sub-Saharan Africa have the largest disparity, leading to an average predicted growth rate around 4.2%. On an individual level, Cote d’Ivorie (Ivory Coast) is predicted to lead the way in terms of real GDP growth rates (forecast to grow at 7.7%). Kenya (6.3%) and Ghana (5.9%) lag behind Cote d’Ivorie, but their growth rates remain very impressive. Volatility and foggy expectations mean have affected Nigeria’s forecast, which stands at around 3.7%, subsequently dragging down the average of the group. Frontier Markets in Asia were, on average, the group with the most optimistic forecasts (5.8%). Bangladesh leads the way with 6.8%, while Vietnam (6.2%), Sri Lanka (5.0%) and Pakistan (5.0%) also received strong forecasts. Bloomberg is also confident that some Asian Emerging Markets will have a strong year in 2017. On the other end of the spectrum, Kazakhstan, Oman, Trinidad & Tobago and Ecuador all have lackluster forecasts not only for real GDP growth rates, but also GDP per capita growth rates as well, with Ecuador being the only market that will suffer negative growth rates in both indicators. Credit Suisse has acknowledged that the laggards in the group tend to be countries with a high hydrocarbon production to GDP rations, with high dependencies on “petrodollars” having a negative impact on five-year growth rates. Although the report focuses on five-year growth rates, it will be interesting to see how well these countries perform in 2017 as it will be a “stepping stone” to achieving or bettering these forecasts. The Baltic nations of Estonia, Lithuania and Latvia have been a hotbed for innovation and small companies in the past few years, with startups raising a total of €280.6 million, €165.3 million and €103.3 million respectively in the ten years between 2006 and 2015 and the trend is expected to continue. 12 Baltic startups were also listed in ArcticStartups‘ “Top 30 List of Nordic/Baltic Startups to Watch in 2016”, including a health analytics service in Latvia and an educational startup in Estonia. In terms of startup prospects, Estonia is generally considered as the country that leads the pack. Since gaining independence a few decades ago, many political leaders have agreed that innovation and entrepreneurship should be a core political and economic strategy, with the government cooperating with the European Investment Fund to launch EstFund, a €60 million fund to boost startups in the capital Tallinn. Estonia has also been selected to hose the Startup Nations Summit in 2017, with the goal of exploring rapidly-growing startup hubs in Europe. Latvia has recently announced new startup tax laws with plans to reduce the burden on small businesses retaining excellent talent and further encourage growth. It has also been reported that Lithuanian startups are contemplating moving to Latvia in order to benefit from low taxes on startup salaries, which are almost three times lower. The Latvian Minister of Economics has also set a target of doubling the number of startups by 2020 and has provided €60m ($63.7m) towards achieving that goal. Despite the potential problem of losing startups to their neighbouring nation, Lithuania have also opted to deliver sweeping reforms to benefit the startup community. Recently, Lithuania’s Cabinet of Ministers approved legislation for a “Startup Visa”, which will streamline the process for non-EU citizens to acquire residency in the country. Lithuania will also be attempting to attract UK fintech firms seeking EU passporting rights after Brexit has been completed. To boost inwards investment and FDI flows, as well as improving credibility, leading to ratings improvements and changes in market classifications. Vietnam Dairy Products (Vinamilk), the largest dairy company in Vietnam, is scheduled to have its shares sold off to investors in multiple stages and has recently sold 11.2 trillion dong (roughly $500 million) to Singapore-based Fraser & Neave (F&N), bringing F&N’s stake in the company up to 16.35% from 10.95%. Despite the latest wave of sell-offs, investors are still put off by the restrictions placed on foreign ownership of Vietnamese companies, something that the government is looking to alter in the near future. Saudi Arabian Oil Company (Aramco), Saudi Arabia’s national oil and gas company, is currently looking at a potential sale of up to 5% in the firm. Although the percentage seems relatively low, it will be one of the largest initial public offerings (IPOs) of all time – between $100 billion to $125 billion – if successful and could provide an incentive for the government to privatise other large public sector services, allowing it to potentially launch an IPO ETF in the future. One of the major fears for next year is Trump’s presidency and how it will effect the potential IPO. Frontier Markets in Europe have also been subjected to privatisation. For example, Serbia has since undertaken a reformation process after signing agreements with both the World Bank and the IMF. In order shed almost half of the amount spend to upkeep these public services, Serbia sold off strategic companies in the steel, agricultural and pharmaceutical industries over the last three years. The Serbian government is also planning on raising €400 milllion from the sale of Belgrade’s Nikola Tesla, the country’s largest airport. Expect 2017 to be an interesting year for Frontier Markets!